Posted in: Bark, Leaves, nature, outdoors, Photography, Plants, Trees. 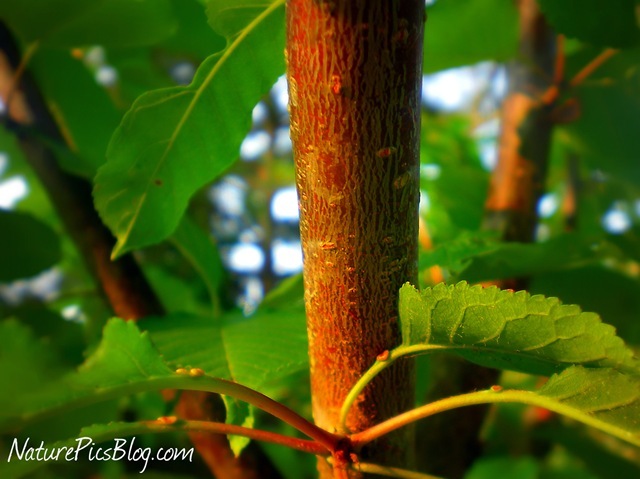 Tagged: bark, leaves, morning, Nature, outdoors, photo, Photography, picture, plants, rainforest, trees. The sun was shining on the bark of this cherry tree when I photographed it yesterday morning. The light coming in created a cool effect. It almost looks like a rainforest! Posted in: Fruit, Plants. 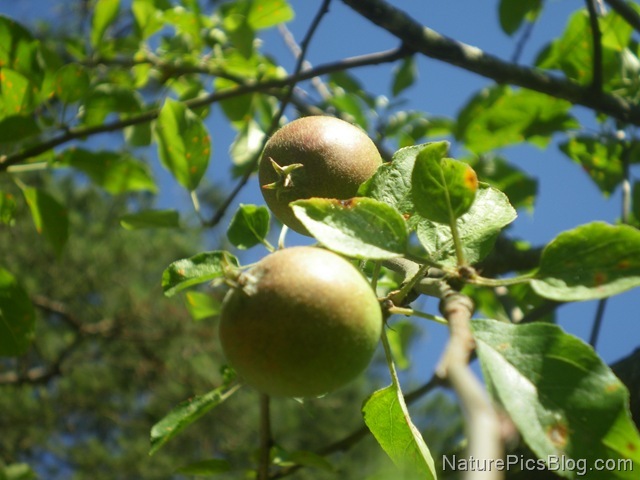 Tagged: apple blossoms, apple tree, apples, baby, baby apples, blossoms, branches, leaves, Nature, photo, Photography, pics, picture, Tree. The beautiful blossoms on our apple tree have finally turned into little apples. I captured these two yesterday. Posted in: Leaves, Plants. Tagged: leaves, Nature, outdoors, photo, Photography, pic, picture, plants, Tree, Wildlife. You can see lots of new leaves growing on the trees now. The ones in photo above made such a nice spring photo. Posted in: Leaves, Plants. Tagged: bush, camera, Hedge, leaves, Nature, outdoors, photo, Photography, picture, shrub, Wikipedia, Wildlife. I have always loved photographing leaves. I captured these fresh green hedge leaves yesterday. They made a great spring photograph. Posted in: Leaves, Plants. 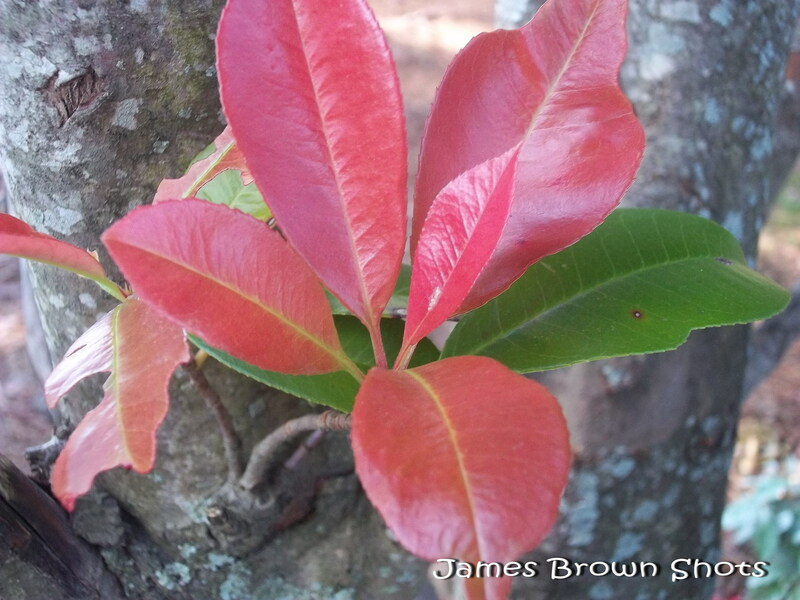 Tagged: blood, flowers, leaves, Nature, outdoors, photinia, photo, Photography, picture, plants, red, red tip, trees, Wildlife. Our Red-Tip’s (also called Photinia,) beautiful red leaves and tiny white flowers are always sure to brighten up our yard. I photographed these gorgeous leaves yesterday. Posted in: Leaves, Plants. Tagged: bathing, leaves, Nature, outdoors, photo, Photography, pics, plants, sun, Wildlife. We had a good many grapes on our grape vine last year and maybe we’ll have even more this year. The grape vine’s big beautiful green leaves put on a wonderful display. I lined the sun up behind these leaves which made them look bright and attractive. Posted in: Leaves. Tagged: leaves, Nature, outdoors, photo, photograph, Photography, Wildlife. I found these deep green leaves yesterday and though they might make a nice photograph.